Within the framework of his working tour of Grodno region, the President answered questions from representatives of Belarusian and foreign mass media. The questions were related to this year’s sowing campaign, mutual relationship with the neighbouring countries, situation around the prices for Russian gas supplies, integration processes in the post-Soviet space, and other topics of current importance. “I don't think the Russian leadership will take the step of a serious increase in gas prices,” he continued. “We will build roads, ship gas and pure water there, we will clean up our lands. That area will live like the rest of the country,” the President said. Talking to journalists, Alexander Lukashenko also refuted insinuations by some mass media about the health condition of the Head of State. He pointed out that over the recent weeks he worked as usually scheduled, making fewer TV appearances but giving more attention to the work with documents, and that, perhaps, gave rise to an emergence of ridiculous rumours. “I have had no recourse to any doctors. Nothing has been done, nor is it being done without the President. I have been controlling and am fully controlling the situation in the country. Now we are forming the Government, elaborating a new structure. Therefore, in vain one tries creating a kind of sensation out of this, ” the Belarusian leader stated. Belarus's parliament re-appointed Sergei Sidorsky as prime minister on Monday in a sign that the ex-Soviet state has no intention of changing policies that sparked protests at home and in the West. Sidorsky had to resign in line with the constitution after President Alexander Lukashenko was re-elected for a third term last month in a vote branded as rigged by independent observers. But he was re-nominated by Lukashenko and predictably won overwhelming parliamentary support on Monday. He was backed by 103 deputies in the 110-seat chamber. Belarus's liberal opposition protested against Lukashenko's re-election by staging an unprecedented vigil in capital Minsk. Police eventually broke up the rally and hundreds of opposition activists were jailed. The European Union blames Lukahshenko for crushing dissent in the 10-million-strong country and backs his opponents' calls for a change of course. It has slapped a visa ban on the authoritarian leader and 30 of his top officials. "Sidorsky's nomination confirms the continuity of the policies which were backed by the all Belarussian people," Gennady Nevyglas, head of the presidential administration, told deputies before the vote. "Political stability, dynamic economic development, society's consolidation helped settle an issue of appointing the premier in the very first days and without political upheavals." After Sidorsky's appointment, he pledged to deputies to maintain existing policies and simplify government structures. "We will take further measures not to allow unjustified price growth," he said. The Belarussian economy has maintained many of its Soviet-era features, with the government ordering companies what to produce and at what prices to sell. Lukashenko routinely intervenes into the running of major state companies. He stresses his commitment to improving social standards and raising pensions and wages. Belarus proposes establishing common energy prices for member states of Eurasec, a regional economic organization, the country's vice premier said Friday. Speaking after a session of the Eurasec, or the Eurasian Economic Community, an economic club of former Soviet republics seeking to establish a single economic zone comprising Russia, Kazakhstan, Kyrgyzstan, Tajikistan, and Belarus, Andrei Kobyakov said: "We stand for equal prices, since competition should be fair." If prices for oil and gas are raised, "there can be no talk of equal conditions for competition," Kobyakov said. Belarus faces a possible three-fold hike in the price it pays for Russian natural gas following an announcement earlier this week by Russia's energy giant Gazprom. The move is expected to tear a hole of around $2 billion Belarusian budget. Alexander Ryazanov, deputy CEO of Gazprom, said on April 10 that gas prices for Belarus "should be at least three times higher." According to a contract between Gazprom and Beltransgaz, the Belarusian state-owned gas company whose pipelines carry Russian gas to Europe, this year the Russian gas monopoly is to deliver 21 billion cu m of gas at $46.68 per 1,000 cubic meters. In return, Minsk promised to assist Gazprom's operations in the republic, notably not to change gas transit tariffs. Western European buyers of Russian gas now pay an average of $230 per 1,000 cu m.
Kobyakov said that the mooted common oil and gas market had been discussed at today's session of Eurasec's integration committee, but the issue had been returned to member-states' experts for adjustment. Chinese missiles also work pretty good. China will further military exchanges with Belarus, said Vice-Chairman of the Central Military Commission Xu Caihou on Friday. The friendly exchanges and cooperation between China and Belarus have been fruitful in the political, economic, scientific and cultural fields, Xu said when meeting with a Belarusian delegation headed by Gurulev Sergey, chief of general staff of the Belarusian armed forces. The two sides also support and closely cooperate with each other in international affairs, Xu said, stressing that keeping the long-term stable and friendly cooperative relations is in the fundamental interests of the two peoples and conducive to the peace and stability of the world. The military ties is an important part of the relations between the two countries, Xu said. With joint efforts of the two sides, the military relations have enjoyed new progress in new historical conditions with frequent high-level exchanges and good momentum in cooperation in various areas, he added. Gurulev expressed his hope that the two countries will enhance military exchanges and cooperation, adding that Belarus firmly pursues the one-China policy. Russian and Belarusian defense officials will hold talks April 21 on holding joint military exercises in June of this year, the defense minister said Monday. Sergei Ivanov said the exercises would form part of the two countries' plans to create combined air-defense systems. He said the exercises would be held under the auspices of Collective Security Treaty Organization (CSTO) - a regional security body that also includes the former Soviet republics of Armenia, Kazakhstan, Kyrgyzstan, and Tajikistan - but would involve only Russian and Belarusian troops. The CSTO was founded in 2002 to ensure peace in the post-Soviet space and preserve member-countries' territorial integrity, as well as to fight terrorism, drug traffic, and international organized crime. Some experts say the organization was created to prevent NATO's further eastward expansion and keep some former Soviet republics under Russia's military protection. Will America avoid a war with Iran? Tehran has announced that it will assemble 3,000 uranium enrichment centrifuges by the end of the Iranian year, which is March 21, 2007. This is not the first exchange of "pre-emptive strikes" between Washington and Tehran, which fuels the thought that a war between them is unavoidable. Washington responded to the large-scale naval exercises in the Persian Gulf, which demonstrated Iran's readiness to protect its nuclear program from a potential aggression, with an article by Seymour Hersh, a regular contributor to The New Yorker on military and security matters. Revelations by that journalist, who is known to have connections in the U.S. Administration, about a potential air attack at about 400 targets in Iran are most probably based on insider information. But they did not embarrass Tehran, even though Hersh writes about possible use of tactical nuclear weapons. Analysts mentioned the same number of targets when writing that Iran might attack 400 targets in Israel if the U.S. drives it into a corner. The possible use of tactical weapons should not have come as a surprise to Tehran either, because the National Security Strategy made public by Washington on March 16 reaffirmed its intention to use such weapons in preventive strikes. Tehran responded to Hersh's article by saying that Iranian scientists had enriched uranium to 3.5% and 3,000 enrichment centrifuges would be assembled soon. "Iran will soon join the international club of states that have nuclear technology," President Ahmadinejad has said. The U.S. Administration blanched at this statement as one more example of the Iranian regime's neglect for the international community. How long will the sides keep exchanging these "pinpoint strikes" and what will be the end? The U.S.-initiated escalation of tensions over Iran's nuclear program is gathering momentum. In early March, the United States rejected the idea of a meeting of the European Trio and China to draft a new strategy on the Iranian nuclear problem. In one of his interviews, Under Secretary of State for Political Affairs Nicholas Burns mentioned the creation of an anti-Iranian coalition. The new National Security Strategy labeled Iran the main enemy of the U.S. And in mid-March, the U.S. started amassing troops on the border with Iran and announced - but has not started - Operation Swarmer aimed at clearing "a suspected [Iraqi] insurgent operating area." Meanwhile, Iran refused to comply with the request of the Board of Governors of the International Atomic Energy Agency (IAEA) regarding the additional protocol to the Non-Proliferation Treaty, which would allow the IAEA to make surprise inspections of its nuclear facilities. Tehran also does not agree to stop its uranium enrichment projects. It looks as if it wants to fuel tensions over the nuclear dossier no less than Washington; its latest statement on uranium enrichment has forced the problem into a dead-end. Tehran probably thinks that the U.S. would never start a military operation against it, because it is bogged down in Iraq and Afghanistan, and American public opinion will be categorically against starting one more war. Israel is not likely to participate in a military operation against Iran either, especially in view of growing tensions in the Palestinian territories. And lastly, experts say that Iran is much stronger than Iraq, and Washington should take this into account. All, or nearly all, of this is true. But the U.S. is not doing as badly in Afghanistan as in Iraq, and hence the possibility of another military operation waged simultaneously with actions in Afghanistan cannot be ruled out. And Washington certainly knows that Iran is not Iraq, which is why the potential Iranian operation will not be a carbon copy of the Iraqi war. As to Israel and the Palestinian problem, the United States will hardly look benignly at Iran's intention to acquire the status of the regional superpower, which Tehran has recently proclaimed as its goal. Washington regards Iran's uncompromising stand on the creation of a full nuclear cycle as a wish to create the bomb, though Iran claims that it is creating the infrastructure for a peaceful nuclear program. According to Washington, there are more than enough reasons to doubt Iran's sincerity. Indeed, why should Iran need a full nuclear cycle if producing nuclear fuel is nearly four times more expensive than buying it? Will the U.S. decide against a military operation to suit Iran's ambitions? Difficult to say, because it is America's interests in the region that are at stake. UN Security Council's sanctions against Iran are another factor. Israel, which is America's strategic ally in the region, suggested imposing increasingly harsh sanctions on Iran. Therefore, Washington probably regards a military operation against Iran as the last resort to be taken if the UN does not approve sanctions. In short, nobody can say now if the U.S. will avoid a war with Iran. The United States may attack Iran next year if it gains the support of the international community, a senior Russian international security expert said Monday. "If [the U.S.] ventures a military operation, it will conduct it next year after thorough political, military and propaganda preparations," Alexei Arbatov, head of the International Security Center in Moscow, told RIA Novosti. But he said unilateral American actions, including the invasion of Iraq, had undermined Washington's position on the Iranian issue. "The Americans say Europe and Russia - with its proposal to enrich uranium for Iran - had an opportunity to reach and agreement with Iran. But these attempts have ended in failure, and therefore America will take another path," Arbatov said. He also said the U.S. would try to reach agreements with China, the EU and Russia separately, and would make concessions to them and neighboring Arab countries to isolate the Islamic Republic, as preventing Iran from creating nuclear weapons is Washington's key aim. Concessions to Russia could include non-opposition to Russia's dominance in the Commonwealth of Independent States, a loose union of ex-Soviet republics, Arbatov said, adding that the U.S. could even start withdrawing troops from Iraq. "The U.S. understands that Iran has strong regional positions while its troops are deployed in Iraq," Arbatov said, adding that Shiite Iran may become embroiled in conflict with neighboring Sunni countries as soon as U.S. troops leave Iraq. "When Iran faces this chaos, the U.S. will be able to deliver air strikes against the country," he said. Iran has been accused of pursuing a covert program to develop nuclear weapons, but has denied the accusations, insisting that its nuclear program is for civilian purposes and that it has the right to produce nuclear fuel on its own soil. Last Tuesday, President Mahmoud Ahmadinejad declared that Iran had joined the club of countries possessing nuclear technology by successfully enriching uranium to a level sufficient for use in nuclear power plants. UN Security Council permanent members Russia and China held consultations Monday on the issue, and last week reiterated their opposition to any punitive measures against the country. The other three permanent Security Council members - Britain, France and the United States - demanded that Tehran halt all enrichment activities immediately, and threatened to table a binding, militarily enforceable resolution if it fails to comply. The three, plus Germany, will join Russia and China for talks in Moscow Tuesday. A Russian military expert said Thursday that Iran would never obtain intercontinental ballistic missiles but could threaten its neighbors with mid-range missiles capable of carrying nuclear warheads. Yury Solomonov, director of the Moscow Institute of Heat Engineering and chief designer of Russia's Topol strategic missiles, said the international community should make a critical assessment of media reports on Iran's missile technology. "Iran has neither the scientific nor the technological capability to build ICBMs," Solomonov said. But he said the country could build mid-range missiles similar to the Soviet-made Scuds, produced in a modified version as the Sahap rocket. "In relation to the threat for [Iran's] neighbor states, Iran's capabilities [to build Sahaps] should not be underestimated," he said. Concerns about Iran's missile capability were fueled by statements Tuesday by the country's hard-line president, Mahmoud Ahmadinejad, who said Iran had successfully enriched uranium to a degree sufficient for use in nuclear power plants and had joined the club of nuclear-capable nations. Iran says it will not be bullied by U.S.
Iran said on Monday it would not be bullied or threatened by the United States into stopping its uranium enrichment work but would cooperate with the U.N. nuclear watchdog as an April 30 deadline loomed. World crude oil prices topped $70 a barrel, the highest level for nearly eight months, as Iran's pursuit of its nuclear programme heightened market fears the United States might take military action against the oil-producing Islamic Republic. Iran said last week it had enriched uranium for use in its power stations, increasing tensions in a standoff with the West which suspects Tehran is trying to build an atomic bomb. Tehran says its nuclear programme is only for electricity generation. In a further sign of rising tensions, the United States expressed concern on Monday at a statement by Iranian President Mahmoud Ahmadinejad that Tehran was researching an advanced method of making atomic fuel. A senior Iranian official criticised U.S. Secretary of State Condoleezza Rice for saying last week the United Nations must consider strong action against Iran, such as a resolution that could lead to sanctions or lay the groundwork for force. "I think the era of threats and bullying is over. ... At any rate, such remarks will not bear fruit," Supreme National Security Council secretary Ali Larijani was quoted as saying by Iran's official IRNA news agency. "We have always signified our willingness to allow (U.N. nuclear watchdog) inspectors to come to Iran and visit our nuclear sites. If there are still questions and ambiguities that need to be answered, then these should be answered," he said. The U.N. Security Council has told Iran to halt all sensitive atomic activities and on March 29 asked its watchdog, the International Atomic Energy Agency (IAEA), to report on Iranian compliance in 30 days. So far the IAEA says it cannot verify Iran's nuclear programme is entirely peaceful, despite three years of probing, but has found no hard proof of efforts to build atomic weapons. IAEA officials said after the agency's head, Mohamed ElBaradei, held talks in Tehran last week that senior U.N. inspectors would visit Iran this week. Diplomats at the U.N. Security Council said the five veto-wielding permanent council members -- the United States, Britain, France, China and Russia -- would discuss Iran on Tuesday in Moscow where they would be joined by Germany. They said the Security Council was unlikely to take action before receiving the IAEA report at the end of April. The United States said a statement by Ahmadinejad last week that Iran was conducting research on a P-2 centrifuge, which can enrich uranium quickly, was cause for serious concern. "Undisclosed work on P-2 centrifuges would be a further violation of Iran's safeguard obligations, in addition to those that have already been identified by the (IAEA) board," White House spokesman Scott McClellan said in Washington. "Such violations and failures by the regime to comply with its international obligations run contrary to the regime's claims that its nuclear programme is solely for peaceful purposes," said McClellan. Iran had previously said it was carrying out research and development into P-2 centrifuges, which are faster than the P-1 versions it uses to enrich uranium. The IAEA has been seeking clarification on issues such as when the programme started and the scale of Iran's plans. A Vienna-based diplomat familiar with IAEA inquiries, who asked not to be named, said: "The unclear status of P-2 work in Iran has been a running sore in IAEA investigations. "The P-1 centrifuge they have operating now is generally seen as an unreliable, obsolete device. The P-2, by comparison, is a super-improved model that would correspondingly improve their output (of enriched uranium)," the official said. Iran's Gulf neighbours have repeatedly expressed concern at its nuclear programme, saying they would be the first affected if anything went wrong -- whether a leak in a reactor or a U.S. military strike on nuclear facilities. The standoff between the West and Iran has added to tensions in the Gulf region, already worried about instability in Iraq since the 2003 U.S.-led invasion that ousted Saddam Hussein. 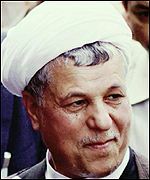 Influential former Iranian President Akbar Hashemi Rafsanjani told reporters during a visit to Kuwait he did not believe the United States would attack Iran. "Harm would not only engulf the Islamic Republic of Iran but the region and everybody," said Rafsanjani. Chernobyl opened my eyes like nothing else: it showed the horrible consequences of nuclear power, even when it is used for non-military purposes. One could now imagine much more clearly what might happen if a nuclear bomb exploded. According to scientific experts, one SS-18 rocket could contain 100 Chernobyls. The nuclear meltdown at Chernobyl this month 20 years ago, even more than my launch of perestroika, was perhaps the real cause of the collapse of the Soviet Union five years later. Indeed, the Chernobyl catastrophe was an historic turning point: there was the era before the disaster, and there is the very different era that has followed. The very morning of the explosion at the Chernobyl nuclear station on April 26, 1986, the Politburo met to discuss the situation, and then organised a government commission to deal with the consequences. The commission was to control the situation, and to ensure that serious measures were taken, particularly in regard to people’s health in the disaster zone. Moreover, the Academy of Science established a group of leading scientists, who were immediately dispatched to the Chernobyl region. The Politburo did not immediately have appropriate and complete information that would have reflected the situation after the explosion. Nevertheless, it was the general consensus of the Politburo that we should openly deliver the information upon receiving it. This would be in the spirit of the glasnost policy that was by then already established in the Soviet Union. Thus, claims that the Politburo engaged in concealment of information about the disaster is far from the truth. One reason I believe that there was no deliberate deception is that, when the governmental commission visited the scene right after the disaster and stayed overnight in Polesie, near Chernobyl, its members all had dinner with regular food and water, and they moved about without respirators, like everybody else who worked there. If the local administration or the scientists knew the real impact of the disaster, they would not have risked doing this. In fact, nobody knew the truth, and that is why all our attempts to receive full information about the extent of the catastrophe were in vain. We initially believed that the main impact of the explosion would be in Ukraine, but Belarus, to the northwest, was hit even worse, and then Poland and Sweden suffered the consequences. Of course, the world first learnt of the Chernobyl disaster from Swedish scientists, creating the impression that we were hiding something. But in truth we had nothing to hide, as we simply had no information for a day and a half. Only a few days later, we learnt that what happened was not a simple accident, but a genuine nuclear catastrophe — an explosion of Chernobyl’s fourth reactor. Although the first report on Chernobyl appeared in Pravda on April 28, the situation was far from clear. For example, when the reactor blew up, the fire was immediately put out with water, which only worsened the situation as nuclear particles began spreading through the atmosphere. Meanwhile we were still able to take measures to help people in the disaster zone; they were evacuated, and more than 200 medical organisations were involved in testing the population for radiation poisoning. There was a serious danger that the contents of the nuclear reactor would seep into the soil, and then leak into the Dnepr river, thus endangering the population of Kiev and other cities along the riverbanks. Therefore, we started the job of protecting the river banks, initiating a total deactivation of the Chernobyl plant. The resources of a huge country were mobilised to control the devastation, including work to prepare the sarcophagus that would encase the fourth reactor. The Chernobyl disaster, more than anything else, opened the possibility of much greater freedom of expression, to the point that the system as we knew it could no longer continue. It made absolutely clear how important it was to continue the policy of glasnost, and I must say that I started to think about time in terms of pre-Chernobyl and post-Chernobyl. The price of the Chernobyl catastrophe was overwhelming, not only in human terms, but also economically. Even today, the legacy of Chernobyl affects the economies of Russia, Ukraine, and Belarus. Some even suggest that the economic price for the USSR was so high that it stopped the arms race, as I could not keep building arms while paying to clean up Chernobyl. This is wrong. My declaration of January 15, 1986, is well known around the world. I addressed arms reduction, including nuclear arms, and I proposed that by the year 2000 no country should have atomic weapons. I personally felt a moral responsibility to end the arms race. But Chernobyl opened my eyes like nothing else: it showed the horrible consequences of nuclear power, even when it is used for non-military purposes. One could now imagine much more clearly what might happen if a nuclear bomb exploded. According to scientific experts, one SS-18 rocket could contain 100 Chernobyls. Unfortunately, the problem of nuclear arms is still very serious today. Countries that have them — the members of the so-called “nuclear club” — are in no hurry to get rid of them. On the contrary, they continue to refine their arsenals, while countries without nuclear weapons want them, believing that the nuclear club’s monopoly is a threat to the world peace. The 20th anniversary of the Chernobyl catastrophe reminds us that we should not forget the horrible lesson taught to the world in 1986. We should do everything in our power to make all nuclear facilities safe and secure. We should also start seriously working on the production of the alternative sources of energy. Tsylinskaya of Belarus wins the Gold in Bordeaux. Natalia Tsylinskaya of Belarus has captured her eighth career world title with victory in the gold medal races in the women's sprint. She beat British defending champion Victoria Pendleton in straight races to claim her second gold of the meet, after her success in the 500m time trial. "I can't wait to get home and show my new medal to my husband and daughter," Tsylinskaya said. "It's not easy to win a gold medal in the world championships, but I will be back next year to defend both of my titles." Shuang Guo secured China's first ever medal in the event, also winning in straight races against Frenchwoman Clara Sanchez. Another Belarusian Vasiliy Kirienko took the bronze in men’s point race. Belarusian sportswomen won nine medals at three international free callisthenics competitions in Poland, Slovenia, and Greece. Representatives of the Belarusian sport and tourism ministry told BelTA, in Szczecin Lyubov Cherkashina was the best while her friend Maria Yushkevich came second. In Ljubljana Sveltana Rudalova won five silver medals by coming second in the combined events as well as ball, club, rope and ribbon exercises. Inna Zhukova was a winner two times in Saloniki. She came second in "taming" the ball and third in the club exercise. She was also fourth in the combined events and the rope exercise. In late April Belarusian callisthenics sportswomen plant to partake in another two international competitions in Slovakia and Russia. In May Minsk will traditionally host Grand Prix competitions. Right before the Easter “Nasha Niva” got a letter from Mensk city executive committee. It has it: “the allocation of “Nasha Niva” in Mensk is not appropriate”. The motivation is as follows: “… it has been ascertained … that the 22th of March the editor-in-chief of “Nasha Niva” was put under administrative arrest for 10 days”. It is worth while reminding that the editor was detained while getting off bus #100 at Kastrychnickaja square on March, 21st, at the time of post-election protests, later he was convicted of “foul language”. The authorities try to close the last link in smothering “Nasha Niva”. Since January, 1st, distribution of the paper was banned under various pretexts by the monopolists “Bielsajuzdruk”, “Minharsajuzdruk”, “Minablsajuzdruk”; and “Bielposhta” did not let the paper into the subscription catalogue. On April, 10th, after a considerable delay, the Ministry of Communications didn’t comply with “Nasha Niva” request to acquire a license for independent subscription. That very date is put on the mail from Minsk executive committee, prepared by the department of ideology and signed by vice-chairman M.Ciciankou. It means the ban on “Nasha Niva” company existence. The authorities are cynically closing down “Nasha Niva” on the eve of its 100th anniversary. In 1915 the first “NN” was closed after Vilnius was occupied by German troops. In 2006 same thing is carried out by the Lukashenka administration. The authorities used to keep some visibility of legal proceedings. Newspapers paused or ceased to exist according to court decisions and those of the Ministry of Information. Now a mere decision of “the department of ideology” is enough. Legally this is absurd. The Press law presupposes no permits for newspaper allocation from any kind of ideological departments. Furthermore, activity of an enterprise can not depend on administrative penalties imposed on its manager. “Nasha Niva” never broke the law. It is indicative that the paper hasn’t even had notifications from the Ministry of Information for the last four years. The first Belarusan newspaper is being closed down. The last independent paper, fully in Belarusan, is being closed down. The attempt at “Nasha Niva” is a symbolical beginning of Alaksandar Lukashenka’s third term. The last Belarusan-speaking lyceum is closed. Belarusan-speaking rock-groups are banned from the radio and TV. The process of closing up the Union of writers has been launched. Dozens of newspapers are banned, starting up own radio and TV in Belarusian language is illegal. The extermination of cultural alternatives is elevated to the rank of state policy. 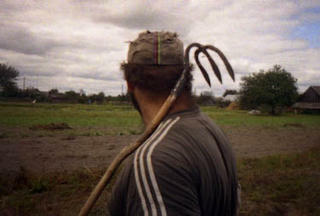 Single-level Soviet identity is imposed to people. Today it is a question of not saving “Nasha Niva” or independent press only. Salvation of Belarusan cultural identity as such is at issue now. Age-old cultural tradition of a whole people mustn’t become extinct in the Europe of the 21st century. In such conditions we ask the Lithuanian Ministry of Culture to apply to UNESCO for including the newspaper “Nasha Niva” into the Representative List of the Intangible Cultural Heritage of Humanity. Lithuania has the moral right to do it, since “Nasha Niva” was issued in Vilnius in 1906—1915 and 1991—1996. 100th anniversary of the paper which had set up Belarusian literary language, Belarusian classic literature, Belarusian state idea is a good occasion for that. We ask the governments of other countries, international and non-government institutions, which have such a right, to support this application with UNESCO. This symbolic step may be the last thing the world can do for the Belarusian press. We also appeal to international community to immediately intensify their support of all independent Belarusan mass media ever existing. We appeal to our readers to be self-possessed and optimistic. Legal proceedings, appeal of City executive council letter etc. can last from months to years. In spite of such uncertainties the paper will be published in its today’s format until there is a possibility. It is impossible to forecast how long it will be. E.g. we don’t know for how long the printing house will print the paper. Later on we’ll have something else. Firstly, the Internet. Even the closing of the enterprise “Nasha Niva” does not mean closing the web-site of the paper. It is important to preserve the edition in paper for the national cultural tradition. Since publishing “Nasha Niva” in Belarus “is not appropriate”, that would be logical to consider the matter of transferring the newspaper abroad. However that would entail legal and financial perplexities. In the situation of the ban on distribution, “Nasha Niva” is published at the cost of donations from private persons. We have received some 4000 of them from all over Belarus since the beginning of the year. Nevertheless if the paper is closed and then transferred and registered abroad, the reader will have no direct opportunity to make a money order for the paper. 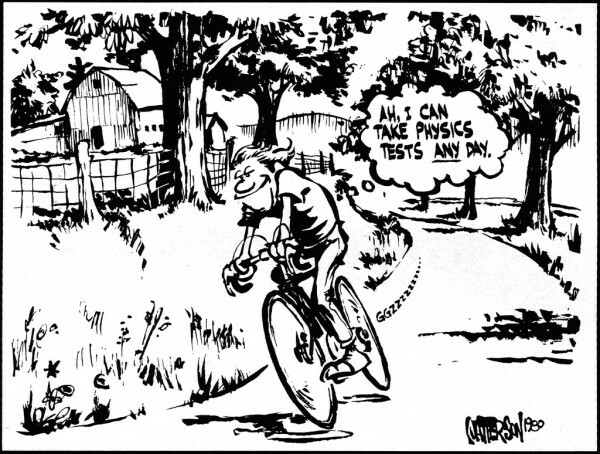 Until the paper is issued as it used to, please, keep on donating — but in lesser amounts. We will be looking for a way out considering the developments. It’s worth while reminding that in case the enterprise is closed, the money on its account doesn’t disappear but is used for statute purposes. “Nasha Niva” is being closed, but “Nasha Niva” has to go on. As an edition read by thousands of people, as a national symbol.